The reason: Pollution of water in rivers and lakes. These are findings in a report from the United Nations Environment Program, also known as UNEP. Viruses, bacteria and other microscopic organisms increased pollution in more than half of rivers across the three areas between 1990 and 2010, the report said. UNEP officials said long-lasting toxic pollutants like fertilizer or petrol increased during that period. Levels of salt rose in nearly one-third of the waterways. The report listed population growth and expanding agriculture as two of the main reasons for the increase of surface water pollution. Another reason was an increased amount of untreated water containing waste products. In all, UNEP said, 323 million people were at risk of infection. Dietrich Borchardt, the lead writer of the report, spoke to the Thomas Reuters Foundation. "The water quality problem at a global scale and the number of people affected by bad water quality are much more severe than we expected," he said. But a large number of the rivers in the affected areas are still in good condition and need to be protected, Borchardt noted. Disease-causing pollution was a problem in almost 25 percent of rivers in Latin America, the UNEP report said. Between 10 and 25 percent of the rivers in Africa were affected, as were up to 50 percent in Asia. Untreated sewage was the main cause of this, it said. The report added that nearly 3.4 million people die each year from diseases or conditions like cholera, typhoid, polio and diarrhea. These are related to water quality. UN officials believe as many as 164 million people in Africa are at risk of infection from the diseases. They said that 134 million people in Asia and 25 million in Latin America also are at risk. The report said building more sewage systems was not enough to solve the problems of infection and deaths. It said the solution was for countries to treat their wastewater. Organic pollution, such as sewage, can cause water to lose all oxygen. One of every seven kilometers of river in Latin America, Asia and Africa has no oxygen. This threatens freshwater fisheries, the report said. Mines, homes and irrigation systems often release salty water in rivers and lakes, creating high salt levels there. Moderate to high salt levels affect one in three rivers across three continents, the report said. Dietrich Borchardt called the increasing levels of water pollution over time "critical." "It costs much more money to clean up surface water from severe pollution than to start effective management, which includes prevention of pollution," he said. "Tools are available but the problem is getting people to use them." Bleeding from erosive gastritis was rarely life-threatening. The controversies surrounding population growth are unlikely to subside soon. Typically, pathogens are microscopic organisms such as bacteria, viruses, fungi or parasites such as worms. 1.UNEP officials said long-lasting toxic pollutants like fertilizer or petrol increased during that period. Unfortunately, it is somewhat difficult to make long-lasting close friends. Local-flavour food, tasty and fresh, has a long-lasting market. 2.Dietrich Borchardt called the increasing levels of water pollution over time "critical." As solid wastes fill more and more landfills, this form of water pollution is an increasing concern. 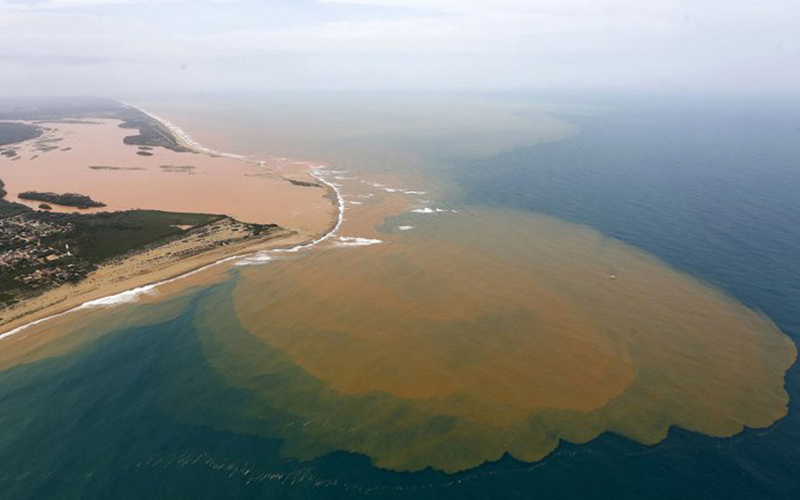 Soil erosion is a main contributor to water pollution.